إريكسون هي شركة ذات أصل سويدي وأحد الشركات الرائدة في مجال توفير أنظمة توصيل البيانات والاتصال عن بعد، بالإضافة إلى خدمات ذات علاقة, مغطية بذلك نطاقاً واسعاً من التقنيات التكنولوجية. تأسست في عام 1876 كمتجر لتصليح معدات التلغراف على يد لارس ماجنس إريكسون، وتم إنشاء الشركة في 18 أغسطس عام 1918. PMO head is a key role within MMEA Networks project delivery flow.rnrnIn this role, you will ensure customer value and happiness through an efficient service delivery. You will support service sales directly or indirectly via the unit resources as you understand and align with the overall service delivery processes, models, and strategies. You will have the leader role in the line organization (the operational organization), with the purpose to lead your organization to succeed in the tasks assigned to the organization and to the individuals within it in alignment with Ericsson directives and WOW. You will collaborate with all relevant stakeholders to ensure that work is executed within the scope of OHS requirements.rnrnAll activities in the Ericsson group are performed under the responsibility of one or more Line Managers, hence Service Delivery Line Managers have to act per the Ericsson Leadership Framework and promote Ericsson's values, ethics and culture of the organization to ensure excellent performancernrnHead of PMO in the Hub is an extremely important role in the project delivery chain where in addition to leading all project managers in a certain geography, PMO head is responsible of managing all project management office function activities within the hubrnrn rnrnResponsibilities: rnrnEnsure service delivery execution throughrnEnsure the right implementation of project management methods, process and tools within all projects in the hub inclusive of full usage of the defined project management tool portfolio,rnEnsure project delivery best practices implementation as per the project rollout WoW (PMO WOW) in alignment with the CUrnEnsure the right governance structure for all opened networks assignments in the hub inclusive of operational governance, financial monthly, quality governance and follow up on timely FAS closure in alignment with the CUrnEnsure the right FAS structure as per PMO guidelines and the program / project setup in different tools including SAP, Chronos , Erisite etcrnEnsure quality to customer is verified through customer project evaluation, On Time delivery & First Time Right and work with the relevant stakeholders for excellence in delivery qualityrnSupport project managers with all required guidance, mentorship and consultancy to run the projectsrnDrive project performance management processrnResponsible for driving and supporting services salesrnEnsure pre-sales planning & costing are aligned towards the wanted position WoW and that the costing is aligned with the target realistic levels on the ground in alignment with COMrnAssign the right CFR / CPM / PGM to both opportunities and projectsrnBuild a productive work environment for individuals and own organizationrnDrive resource management through Implementing the right dimensioning of the CPMs / PGMs within the hub to cover the project / opportunity portfolio within the hub with the right pyramid / seniority level as per the project / opportunity typesrnDrive competence management through acquisition of best fitting talent to all project management positions in the hub and developing existing talent to the required level covering both CPMs, PGMs & CFR roles & ensure right certification levels.rnControl the unit’s financials through control of the cost center budget, spending and absorption and drive the organization utilizationrn rnrnKey Qualifications:rnrnEducation: M.SC, MBA or equivalent through experiencernMin years of experience: 10 YrnDomain experience: Network RolloutrnDeep understanding of Service Delivery process, models, and strategyrnKnowledge of the sales processrnCustomer and market insightrnExcellent Social and communication skillsrnFinancial acumen and skillsrnFormulating strategies and conceptsrnAdhering to principles and valuesrnLeading, supervising, and responding to change in a high pace environment.rn rnrnAdditional Requirements:rnrn· Travelling flexibility of > 10% of timernrn rnrn rnrnWhy is Ericsson a great place to work? 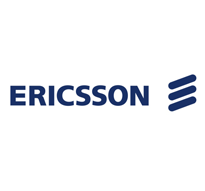 rnrnEricsson enables communications service providers to capture the full value of connectivity. The company’s portfolio spans Networks, Digital Services, Managed Services, and Emerging Business and is designed to help our customers go digital, increase efficiency, find new revenue streams, and create new user experiences. Ericsson’s investments in innovation have delivered the benefits of telephony and mobile broadband to billions of people around the world ensuring our solutions – and our customers – are at the forefront of innovation. We support networks that connect more than 2.5 billion subscribers. With over 100,000 employees and customers in 180 countries, we combine global scale with technology and service leadership. 40 percent of the world’s mobile traffic is carried over an Ericsson network. And, our Technology for Good and Connect to Learn programs include creating technology that makes it easier to save lives, feed societies, bring technology to emerging markets and connectivity to remote areas, and grow businesses and prosperity.rnrnAt Ericsson, we give our employees the freedom to think big and navigate their career, on a global scale. We create technology that helps others, from helping people enjoy their favorite content to helping people recover from natural disasters by enabling better communications between rescue workers. Your ideas and innovations can turn into achievements that impact society and change the world, creating new connections, new possibilities, and new capabilities. We find that Ericsson is at its best when we bring together the diverse skills of our people. Working across business areas, across cultures, across geographical borders, across technical disciplines. More often than not, across ground-breaking solutions. Next generation technology can be staggeringly complex. But the simpler it is to use; the more people benefit from it. Join us and help build technology that makes it simple to connect with information, business, societies, and each other.